Expert travellers, booking managers, vehicle mechanics, sport instructors and professional skippers. He is the man behind the curtain of the company. As founder of Sea Bounty he is the one who make everything works. 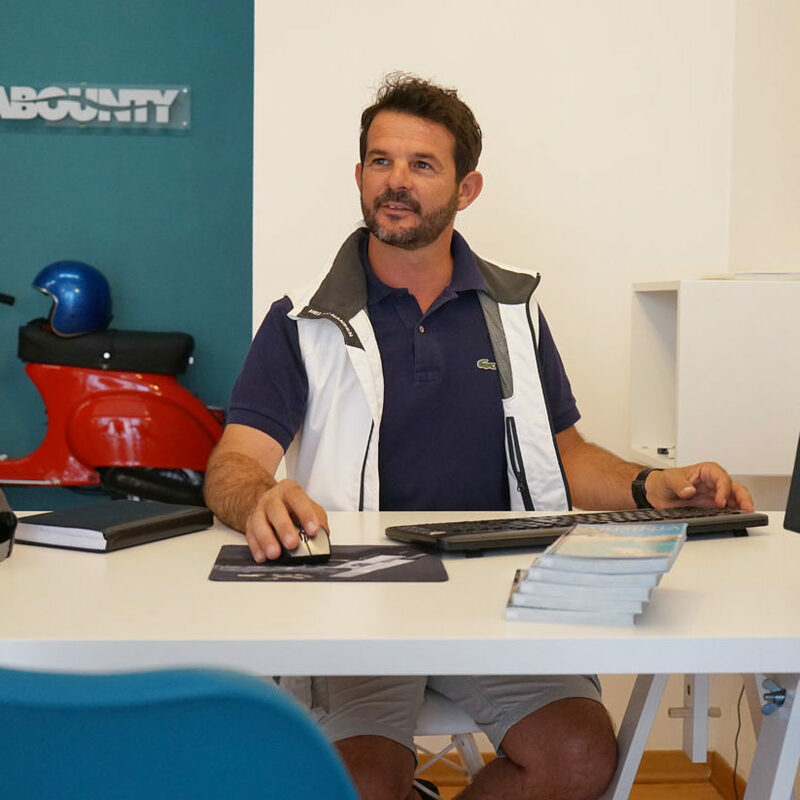 You might probably see him behind the desk or sailing a yacht, cycling around the island or carrying a backpack and a gps in the middle of nowhere. She has toured Sardinia far and wide in search of the most particular and true places to share with Sea bounty customers. She’ll help you so that every request during your experience in Sardinia will become reality in order to discover and continue to tell. He has worked on three continents. Has been traveling to discover new cultures since he was 18 and he chose Sardinia as his headquarter because he considers that there is no better place in the world to settle down. 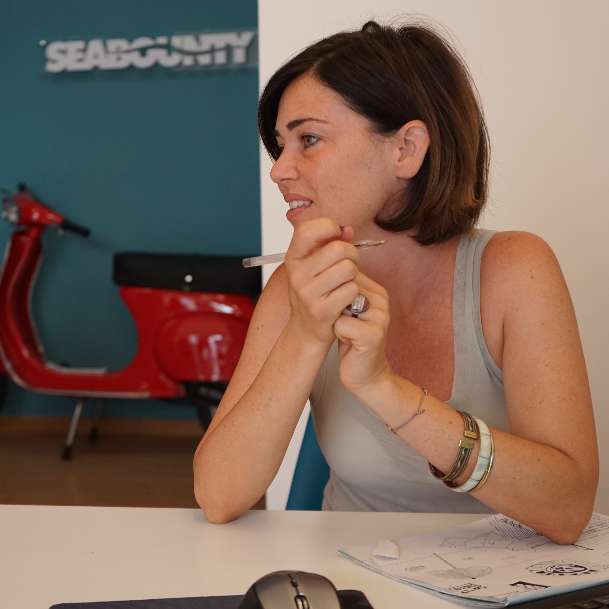 She has worked several years in the hotelerie market and now she has landed in Sea Bounty, she loves to have the opportunity to make every tourist feels like they are at home, Sardinia is an island that welcomes everybody and offers endless opportunities, it’s up to us to find you the right one!